& Only Pure Essential Oils for Fragrance! A unisex deodorant that's ideal for those who need extra protection. 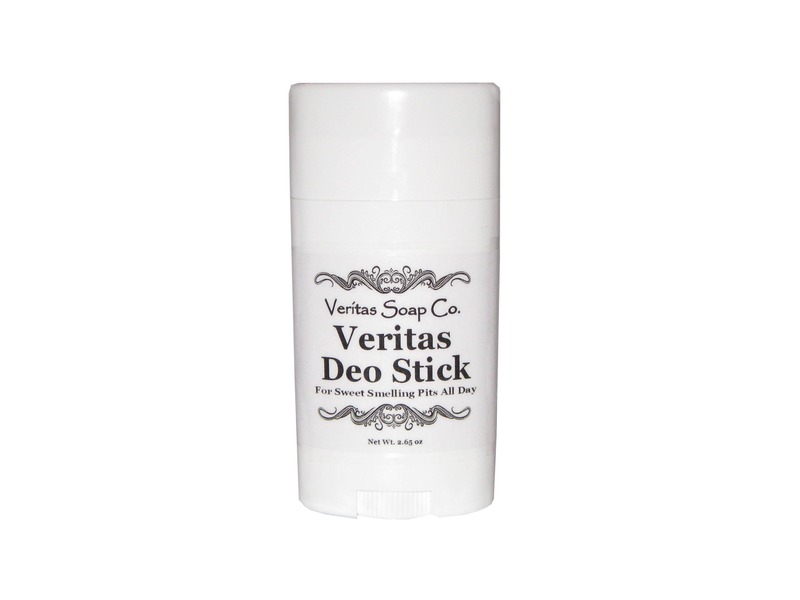 Our VERITAS DEO STICK will leave your armpits smelling sweet all day! Made with Organic Coconut Oil to help fight the formation of bacteria which leads to body odor. Organic Non-GMO Arrowroot Powder & Non-GMO Tapioca Flour keep you dry throughout the day. Cocoa and Shea Butters keep your underarms soft and silky smooth. Our Deodorant are made with the Purest Essential Oils so you know you're getting only the best ingredients for you and your family! 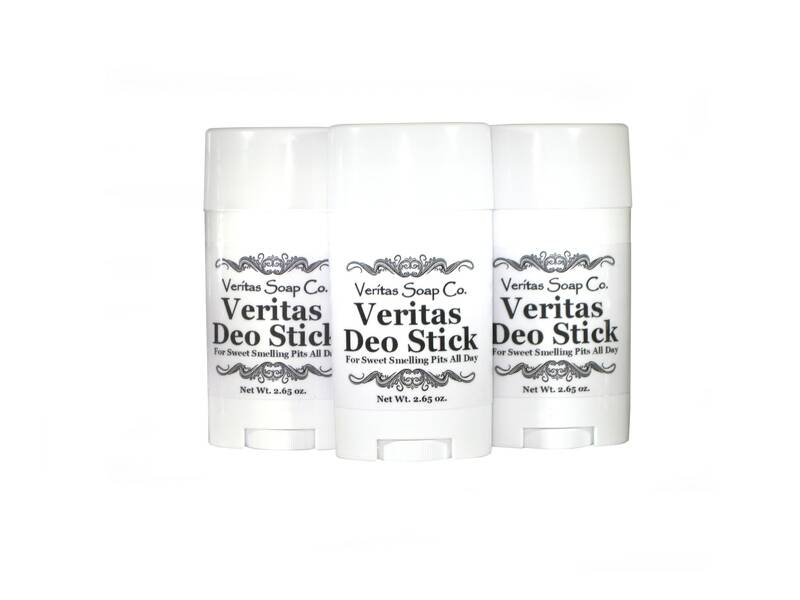 Use Veritas Deodorant Stick for sweet smelling pits! May contain: Organic Non-GMO Arrowroot Powder, Organic Non-GMO Corn Starch, Organic Non-GMO Tapioca Flour, Candelilla Wax, Organic Coconut Oil, Cocoa Butter, Shea Butter, Organic Jojoba Oil, Rice Bran Oil, non-Nano Zinc Oxide, Zinc Ricinoleate, Vitamin-E & less than 1% of the following (Pure Essential Oil Blend). I was very skeptical of a natural deodorant being that I sweat heavily most times. I was pleasantly surprised considering I have had to contend with NYC summers. No joke, the humidity here is unbearable for me and this deodorant stood up to the task, at least for most of the day, when I sweat profusely. Other times, I could go all day and never need to put more on. The bergamot/grapefruit scent is lovely and, as usual when it comes to using Veritas' products, my little one prefers this over the traditional deodorant we were using before. Found another staple for the home.